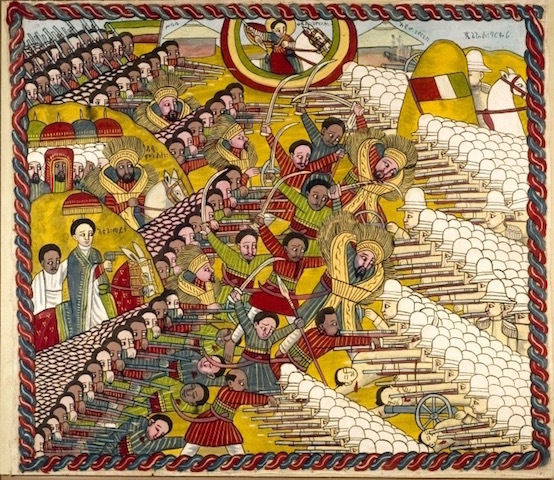 On January 23 we looked at images of density in battle, one of which was a present-day representation of the Battle of Adowa, fought between Italy and Ethiopia in 1896. 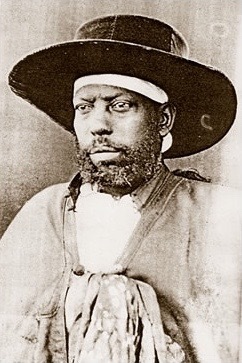 I return to it here because the Wikipedia article included photos of the winner, Emperor Menelik II, and loser, General Oreste Baratieri. The contrast is striking. It may not be quite fair, because these aren’t equivalently formal images, and I don’t suppose Baratieri wore his medals into battle. But there is something irresistibly silly about the presumed dignity of dandified military men. Silly with an edge. The battle cost more than 10,000 lives. 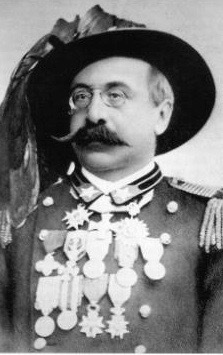 Contributing to the Italian defeat were their obsolete rifles. They had the latest and best on hand, but Baratieri wouldn’t issue them until the stocks of ammunition for the old ones had been used up.